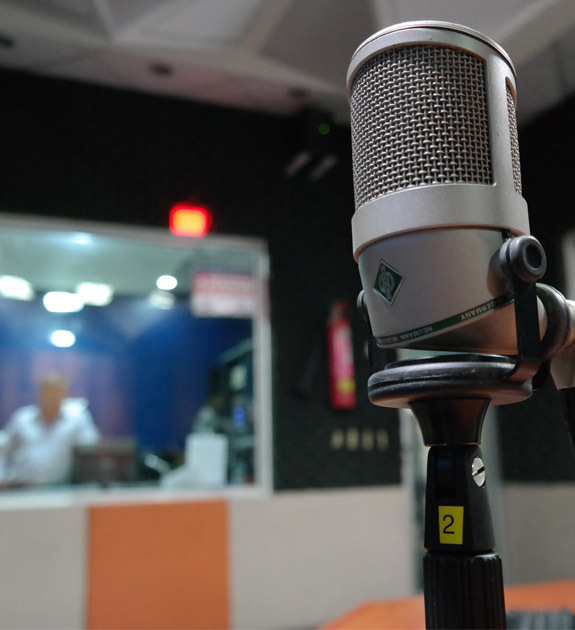 The privileged point of access to multimedia information for the newspaper. In a single app, real time and in-depth analysis: together with the site’s news and the digital replica of the newspaper. A further new piece in the development of the publishing offer that offers a unique environment for accessing all the authoritativeness and richness of the contents of the Sole 24 Ore in an easy and flexible way, as well as the updating and multimedia of the www.ilsole24ore.com website. 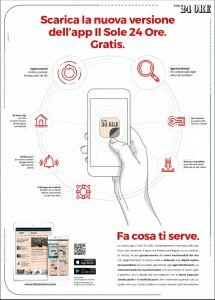 From the paper daily to the backs and inserts, to multimedia news, videos, photos, article galleries, dossiers and financial data: this is the new App of the Sole 24 Ore, optimized for both iOs and Android devices, available free from 4 April for tablets and smartphones on Apple Store and Google Play Store. This is the first App on the Italian market that allows a single access to all the online content of the site and the vertical newspapers and the digital fading of daily newspaper, inserts and periodicals. An agile, powerful and customizable work tool that makes it even easier for professionals, managers and entrepreneurs to access, in any moment and from any mobile device, information in real time and to deepen and update the integrated information system of the Sole 24 Ore.
For more details see Italian website: click here.